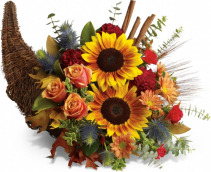 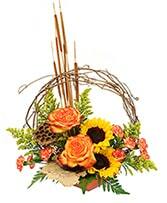 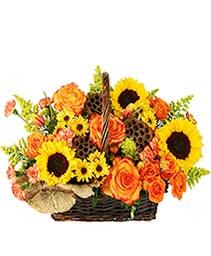 Ceramic keepsake pumpkin filled with bright sunflowers and a medley mixture of seasonal favorites. 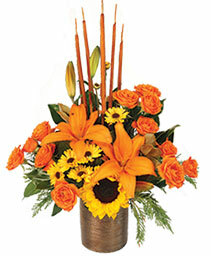 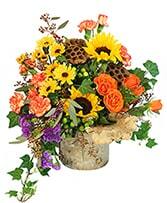 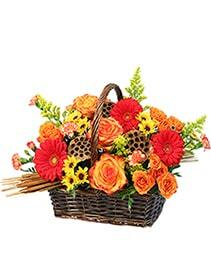 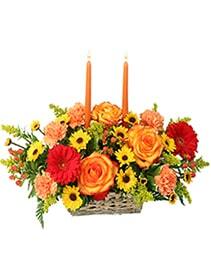 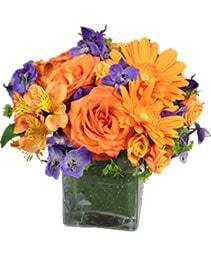 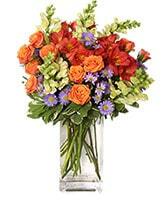 A fall medley of seasonal cut flowers in a basket sure to have everyone falling in love with the season. 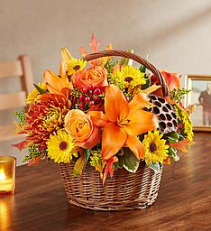 Cornucopia- A symbol of plenty consisting of a goats horn shaped basket overflowing with flowers and fall ornamental.